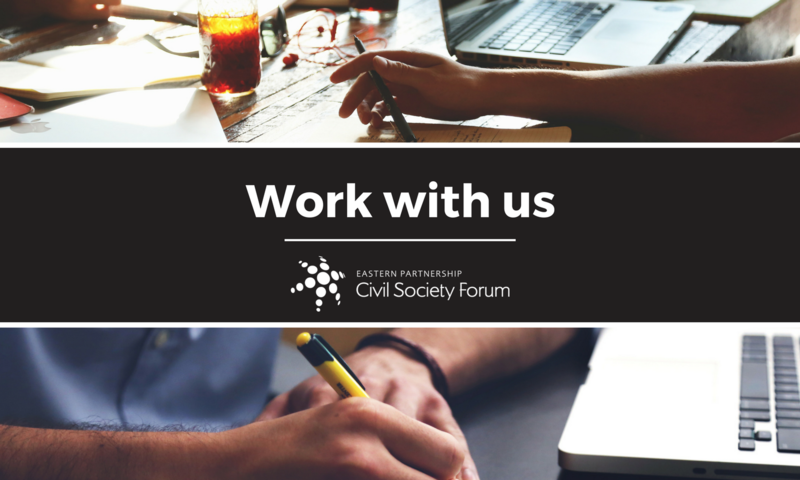 The Secretariat of the Steering Committee of the Eastern Partnership Civil Society Forum (EaP CSF) is accepting applications for an internship. The Intern will assist the team of the Secretariat in its tasks, mostly related to communication, advocacy/policy, and administrative support. CV and motivation letter should be sent to applications@eap-csf.eu with the reference: “Paid internship”. Only candidates selected for interview will be contacted. The interviews will be conducted in Brussels or via Skype.